Any given Monday one could work. 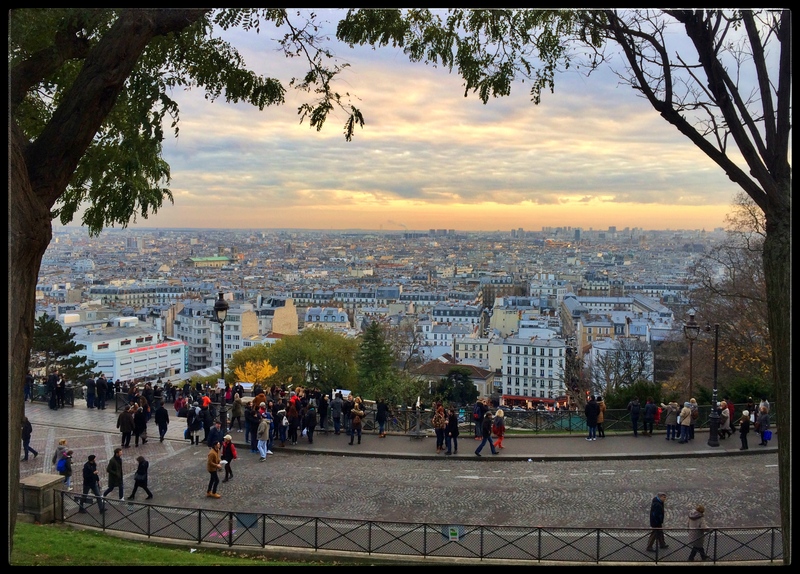 Or one could stroll around lovely Paris. 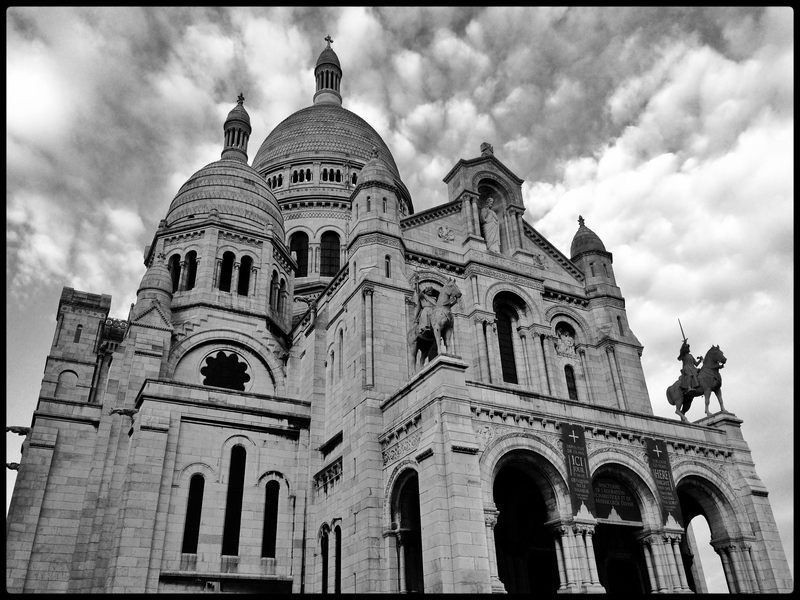 One could slip into the quiet vesper mass in Sacre Coeur, and listen to the priest’s candid conversation about the recent terrible incidents in Paris. One could choose a more secular form of enjoyment and admire the paintings on the Montmartre market. Or one could simply pause between these two alternatives and enjoy the bleak December sun setting over the city. Categories: Travel | Tags: France, sights | Permalink.